This traditional satin silver switched picture light with adjustable knuckle joint provides a great source of light for your pictures, prints and paintings and also acts as a secondary light source. 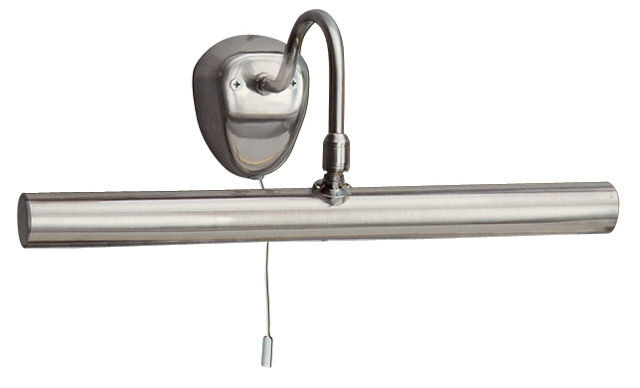 The two pygmy lamps within the light bar provide a steady beam of downlight, which can be adjusted to the perfect angle using the featured knuckle joint. The satin silver finish provides a stylish addition to any wall and comes with a handy pull cord switch. 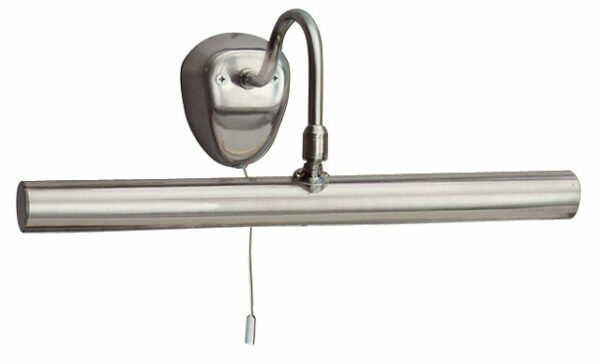 A traditional 36cm satin silver finish picture light with pull cord switch and adjustable knuckle.